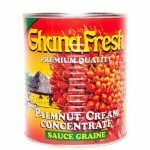 Ghana Fresh Palmnut Concentrate, 800g (Pack of 24) | Golden Tropics, Ltd.
Ghana Fresh Palmnut Cream, Concentrate, is sold in a pack of 24 individual cans. 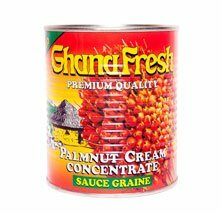 The weight of each can is 800g. Sold in a pack with 24 cans. Ghana Fresh Garden Egg Plant is sold in a pack of 24 individual cans. 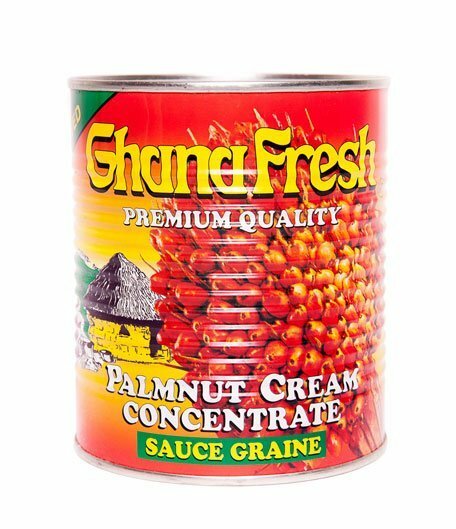 The weight of each can is 800g (28.2oz). 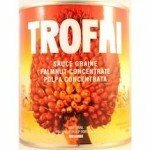 Trofai Palmnut Cream Sauce Concentrate, is sold in a pack of 20 individual cans. 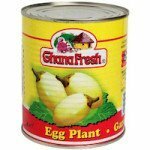 The weight of each can is 800g (28.2oz).